Many B&W photographs exist of the high profile BPP leaders. Both male and female members are pictured in socio-political context: raising fists, encouraging crowds, marching in demonstrations, standing in formation, working at their headquarters, being interviewed by and addressing the press, conversing critically with each other, meeting other political leaders, performing community service or even just relaxing at home. 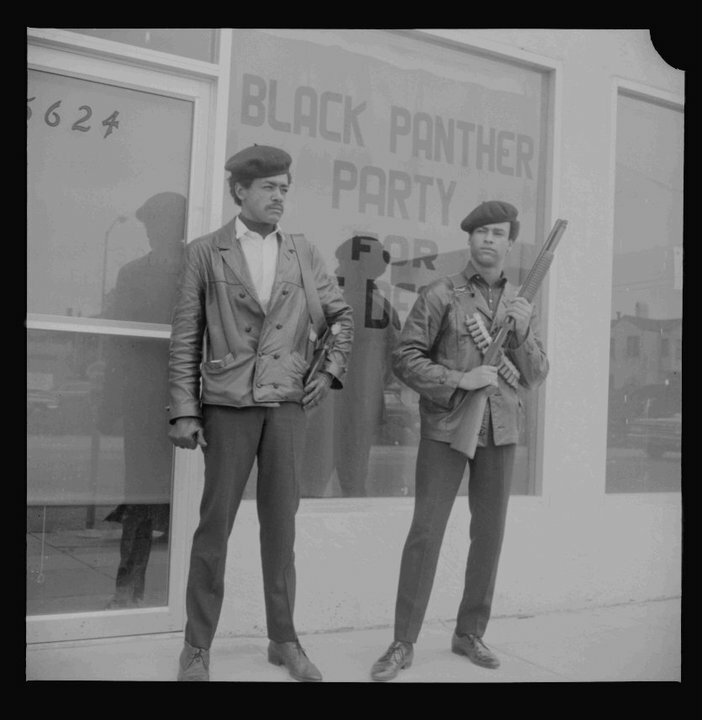 Read the entire post, “Photography and The Black Panther Party”. Top Image: Bobby George Seale and Huey Newton of the Black Panther Party for Self Defense in Oakland, April 25, 1967. Photo: Bancroft Library.